Year 2012 will be an exciting one as Jordan Brand lined up new models and retro models as well, including the original colourways of their famous Air Jordan numbered series. The Air Jordan 4, which was originally released in “military blue” colourway, will be lined-up for release anytime this month or early February and it is expected to be a huge hit in the market. 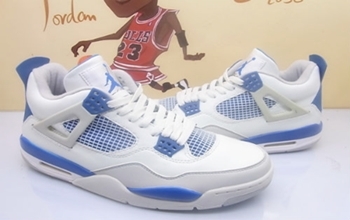 Featuring the same qualities of the original one, this returning Air Jordan 4 is also a must-buy! Another Air Jordan 3 Surfaced!